Whilst you might want your kids to refrain from playing in the mud when you've just got them changed and when you want them looking their best , don't put a full time ban on playing in the dirt, or you'll be putting a lid on the huge amount of enjoyment that kids can get from getting all mucked up in the dirt. 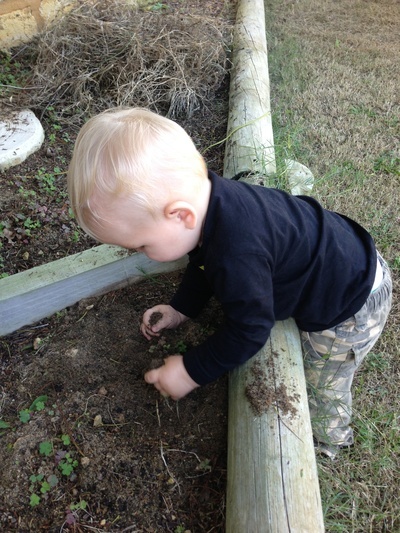 Moreover, as dirt has some kind of magnetic property with kids, you'll find that by not embracing playing with dirt that you'll spend a great deal of your parenting life telling your kids off, for well, just being kids. 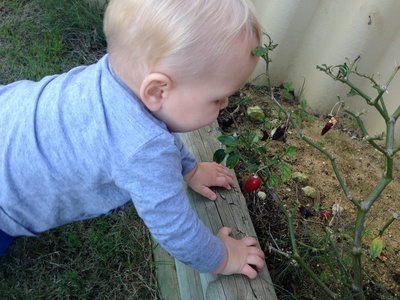 If you want to encourage your kids to grow into youngsters who get out and enjoy the great outdoors rather than simply becoming couch-bound with an iPad then start young, and get them loving nature by letting them play in the garden and enjoying getting dirty. By telling kids off for getting muddy in nature, they'll be less inclined to want to play outside and this will sadly be an opportunity lost. Dirt is generally not found inside your house (although I can't completely guarantee that under my sofas is dirt free), so the great thing about messy play is that it gets your kids outside and getting their top up of Vitamin D. This essential vitamin supports and strengthens a child's immune system whilst also supporting bone and growth development. Whilst a strange concept, playing in mud can actually be good for the immune system. Research strongly demonstrates that kids exposed to the microbes contained within soil will actually develop greater immune systems and that exposure early on in life, can help to prevent diseases later on. Playing with dirt or mud is generally an unstructured activity, where kids are following no instruction from adult and just going with wherever their imagination or sensory urges take them. This creates the perfect environment for discovery which helps your child have the freedom for unadulterated play promoting confidence and self esteem. If you want your kids to enjoy playing outdoors in the mud, but don't want to ruin all their best clothes, then set aside some 'muddy play' clothes that you can keep ready for regular messy outdoor sessions. This way you won't care where the mud goes and what gets muddy and your laundry pile is none the wiser. Do you enjoy mud play with your kids? Where is the best night club in Perth?